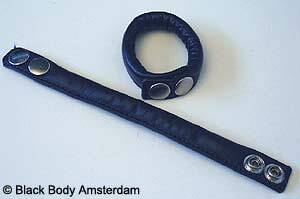 A soft filled leather cockring. Adjustable with snap studs to 2 sizes. Click on the picture to view a dark blue version.